The film bounces back and forth between the last few years of Hoover’s life, his early beginnings at the Department of Justice, pre-founding of the FBI, and the 30s, during the investigation into the kidnapping of Charles Lindbergh’s child, and his war on organized crime. The film only touches the surface of Hoover’s innovations, the importance of forensics, fingerprinting, and lab work – there is so much that was revolutionary about his tactics and I feel like a lot was either missing or completely cut out. That is where I was disappointed. 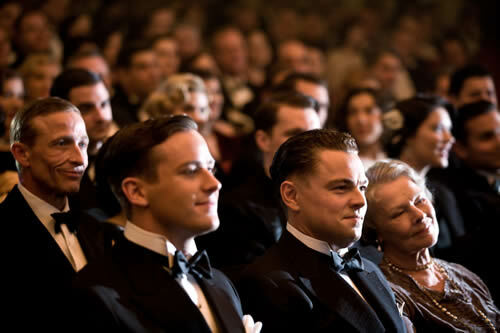 The good news: Leonardo DiCaprio is in top form in this film. DiCaprio continually goes above and beyond to transform himself into the people he’s portraying. This is no rehash of Howard Hughes in The Aviator, he fully embodies J. Edgar Hoover. Perhaps, Eastwood’s intention wasn’t to educate us about FBI, but to give you a candid look at who J. Edgar Hoover was – rather then focus on what he founded. In that sense, the film succeeds. Despite leaving me wanting [a LOT] more, I still found the film fascinating, and if you have any interest at all into this complicated man, I think J. Edgar is worth a closer look.